Penguin India is running a month-long campaign on Twitter, asking people to name their favourite books in various categories - one for each day. Ideal December read: WTF is a December read now? My favourite December reads are the annual round-up issues of magazines. Most beautiful cover: Pretty much everything by Satyajit Ray. In recent times, I really liked the cover of The Blaft Anthology of Tamil Pulp Fiction. A book you identify with: Eric Segal's The Class. Specifically with Andrew Eliot. A book character you'd like to meet: Professor Shonku, I guess. Wisest book you've ever read: Carl Sagan's Cosmos. A book you keep going back to: Lila Majumdar's Din Dupurey. First book you remember reading: Satyajit Ray's Shonar Kella (The Golden Fortress). Wrote a post about this. A book that gives you the chills: Arnab Ray's The Mine. 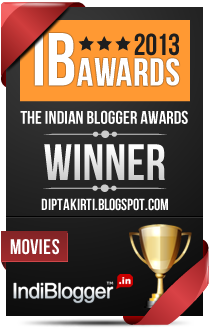 Favourite mythological tale: Rajshekhar Basu's Mahabharat. Specifically the Agyatabash episode. A book that makes you want to write: Anupama Chopra's Sholay: The Making of a Classic. 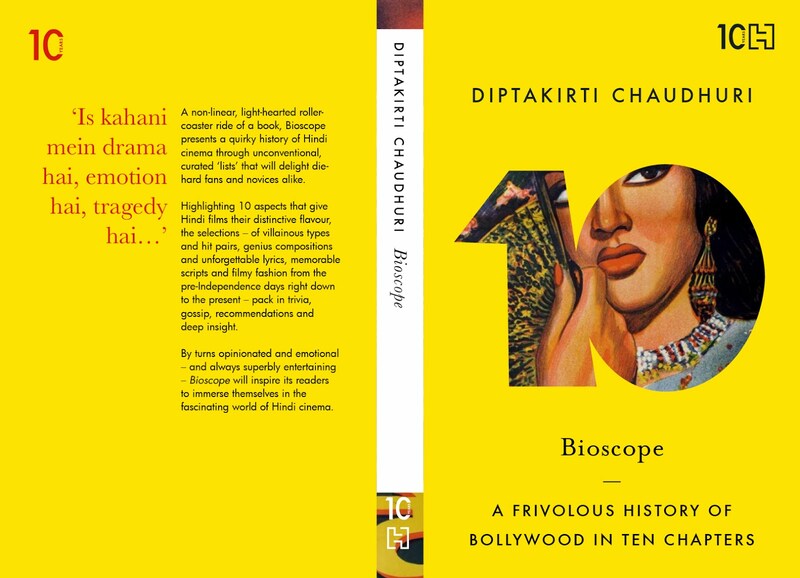 I realised a book on cinema can be informative as well as enjoyable. A book character that you want(ed) to marry: Florentyna Kane a.k.a. The Prodigal Daughter (Jeffrey Archer). A book that you have pretended to read: Most of my textbooks. 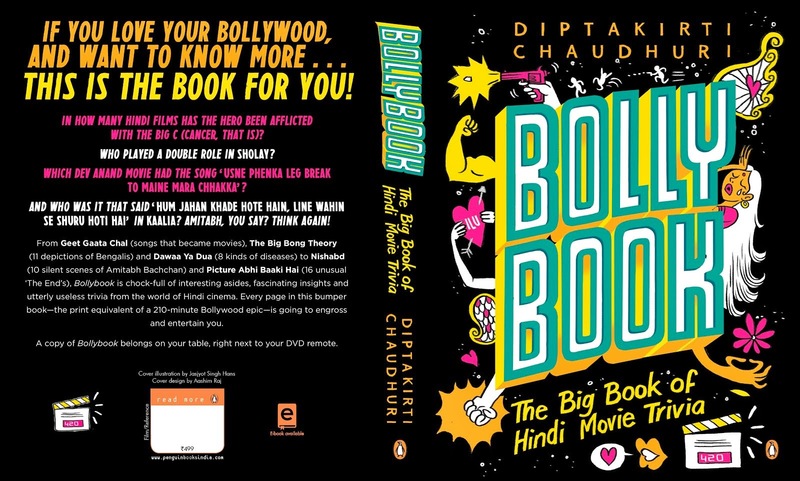 Your curl-up read: Can I say Bollybook? Your favourite book series: Feluda. Feluda. Feluda. Your favourite Jane Austen character: Have to shamefacedly admit that I haven't read a single Jane Austen novel. A book that makes you hungry: Pamela Timms' Korma, Kheer and Kismet. One of the better books I have read in 2014. Favourite autobiography: Ken Jennings' Brainiac: Adventures in the Curious, Competitive, Compulsive World of Trivia Buffs. A brilliant memoir (along with a history of trivia in the USA) of a 75-time Jeopardy winner. A book to read when homesick: Indrajit Hazra's Grand Delusions. One of two great Calcutta books of 2014, the other being Bishwanath Ghosh's Longing, Belonging. Favourite fairy tale character: Aladdin. I could do with a lamp like his. A book to gift around Christmas: Jai Arjun Singh's Jaane Bhi Do Yaaro: Seriously Funny Since 1983, a joyous book that would fit snugly in a stocking. A book that makes you cry: Sanjib Chattopadhyay's Iti Tomar Ma, a not-so-well-known tear-jerker in Bengali. Best book you ever received as a gift: Ten Bad Dates with De Niro: A Book of Alternative Movie Lists from my childhood friend, Nilendu. The idea of a 'book of lists' came after reading this book. Favourite family read: When I was a kid, we used to read Sukumar Ray's Pagla Dashu together and laugh our guts out. Favourite Christmas book: Dr Seuss' How The Grinch Stole Christmas. What else could it be? A book on your shelf you haven't read yet: Pranab Mukherjee's The Dramatic Decade. Downloaded on Kindle, to be read next. A book you couldn't put down: Sidney Sheldon's Master of the Game. Actually most of Sheldon's early novels. An author you discovered this year: Naseeruddin Shah. Your favourite Rudyard Kipling character: Know only one, naming that one. Mowgli. 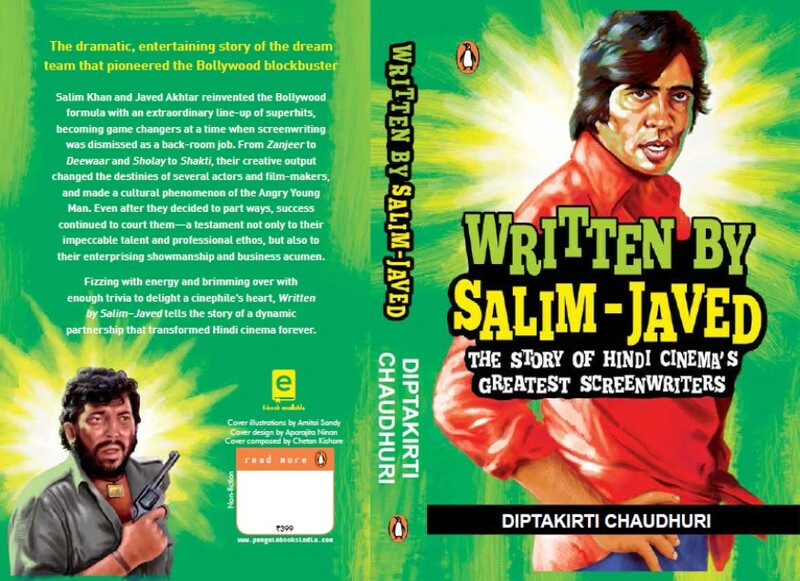 Most awaited book of 2015: A biography of Salim-Javed, to be published by Penguin India and being written by a Delhi-based author. Now you do the same list. Wow - loved this post. So many books on this list that I have not read, so a helpful list. 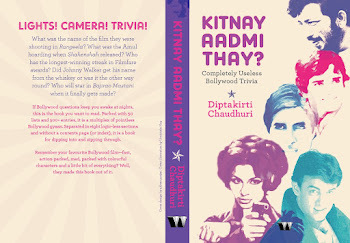 One thing in common: Naseeruddin Shah's book was good! Everything else is bookended between (a) Book of Lists and (b) List of Books. I've added couple of books from above to my Amazon wish list. Wasn't "Iti Polash" a sadder story? I remember "Iti Tomar Ma" came the year after "Polash". Read it in 2 classroom periods sitting in the last bench. Had to bribe - I think Soumya whose parents smuggled in pujasankha to hostel just before vacations - a few bourbons to borrow the precious asset for a few hours!